Professor Shibley Telhami, one of America's leading experts on the Middle East, will comment on the current state of American-Palestinian relations, on Donald Trump's Israeli-Palestinian policy, on Trump's prospective "peace plan," and on the role of Arab governments in the current dynamics between the US, Israel and the Palestinians. Professor Telhami is the Anwar Sadat Professor for Peace and Development at the University of Maryland, College Park, and non-resident senior fellow at the Brookings Institution in Washington, D.C. He is the author of The World through Arab Eyes: Arab Public Opinion and the Reshaping of the Middle East, the co-editor of The Peace Puzzle: America’s Quest for Arab-Israeli Peace, 1989-2011, and a leading pollster of public opinion in the Middle East and U.S. public opinion about the region. Briefing call with Prof. Shibley Telhami on Abbas' trip to D.C. 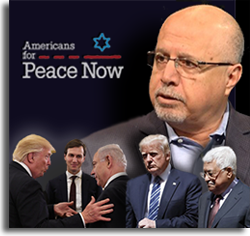 Listen: Briefing call with Prof. Shibley Telhami on Abbas' trip to D.C.
Watch: APN's Lara Friedman at Johns Hopkins - After Israel's Election, Who Makes the Case for Peace? 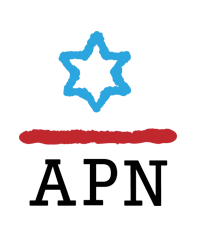 APN Update - Are you kidding, Ambassador Friedman?! Try PeaceCast, and Please remember us!